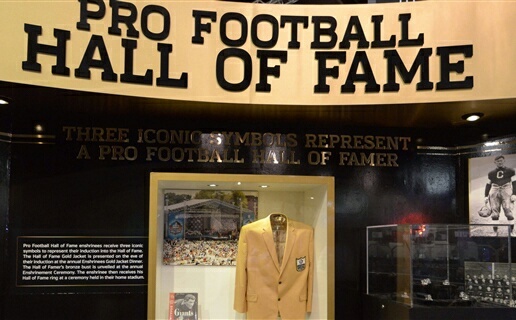 THE BUS: HOF Expects Steelers Overflow | "IT'S A STEELERS WORLD"! It’s almost like us Steelers fans are being inducted ourselves, that’s how much excitement is building up behind the induction of one of our own. On August 8th, 2015, former Pittsburgh Steelers running back, Jerome “The Bus” Bettis will finally be entering the Pro Football Hall of Fame. This time it will be as an inductee, not a television analyst covering the hallowed ceremony. Befitting the relentless, bruising running style that made him the sixth-leading rusher in National Football League history and helped make the Steelers Super Bowl champs, Jerome Bettis was elected Saturday into the Pro Football Hall of Fame on his fifth try. “I played the game of football with passion, with the desire to be a champion,’’ Mr. Bettis said. “And in that drive to become a champion I have now put myself on the most sacred ground that a football player could ever be in, and that’s the Hall of Fame”. 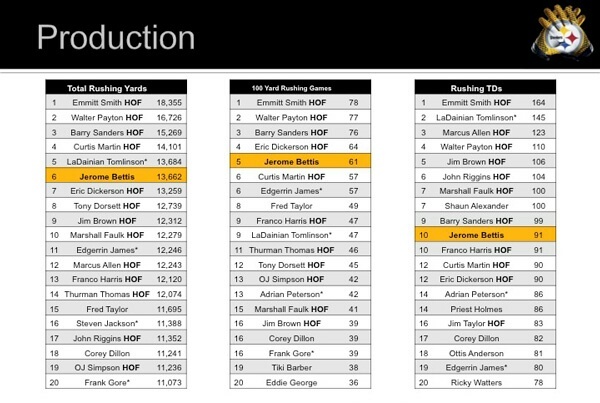 Looking at his production he had accumulated over the years up above Bettis should have long been inducted into the HOF, some speculating that it took as long as it did due to the remodeling of the Hall’s Steelers wing. Regardless of the reason behind the extended wait the wait is finally over, and The Bus can finally be known and recognized as the Hall of Famer he so well deserves. Linebacker Kevin Greene, who played three of his 15 NFL seasons with the Steelers from 1992 through 1995, advanced to the final 10 in the vote of the 46 Hall of Fame selectors but was then knocked out. Gladys and Johnnie Bettis, who died in 2006, attended almost every one of their son’s games at both Notre Dame and in the NFL. I had the pleasure of meeting Jerome and his mother on December 24th, 2000 at a San Diego hotel I was staying along with the Steelers organization. Not as a member, just as one of the thousands of Steelers fans there for the game that stayed in the same hotel. And let me tell you that he is a very polarizing figure, yet with the timidness of a gentle giant who is actually smaller than myself. By the way the Chargers got ran over 34-21. More like we as Pittsburgh Steelers are honored and blessed to have such a classy, well respected member of the Steelers organization representing the Black & Gold in the PRI Football Hall of Fame. So thank you, Jerome Bettis, for giving us all the memories we will cherish for the rest of our lives. ← Matt Schaub to the Ravens? “HILARIOUS”! It appears that there was no room to park the ” BUS ” ! ! ! Black & Gold Forever ! ! ! Thank you, C.R. but once again I already stated that in my article. Take care.